If you are using Microsoft Visual Studio 2017 (any version) it is easy to host your app in Azure. For testing you can use a free trial account and migrate to a production ready account when the app is ready for public use. 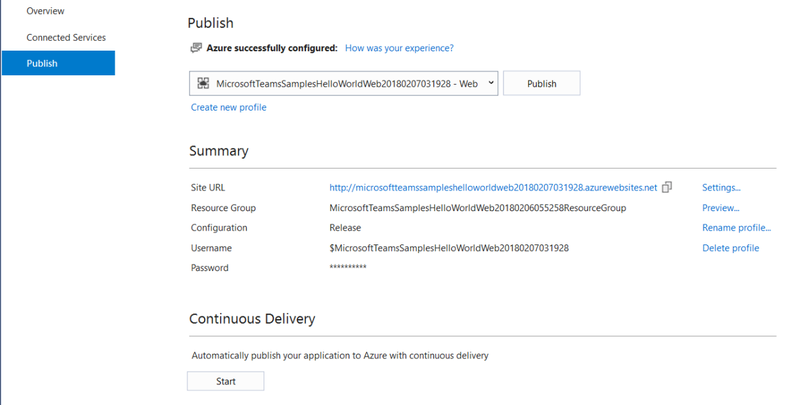 If you have never used Azure before, you can get started by creating a new free account. If possible use the same Microsoft account to sign up that you use when signing into Visual Studio. Create a .NET core app in Azure. These steps assume that you have a .NET teams app open in Visual Studio. You can follow the steps in Get started on the Microsoft Teams platform with C#/.NET to get going quickly. 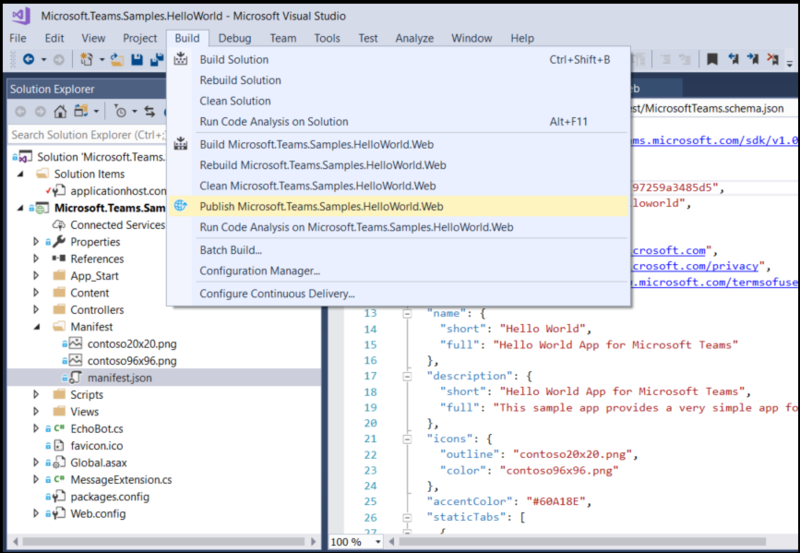 Once your app is open and built in Visual Studio click on Build and select Publish. This will bring up the Pick a publish target screen. 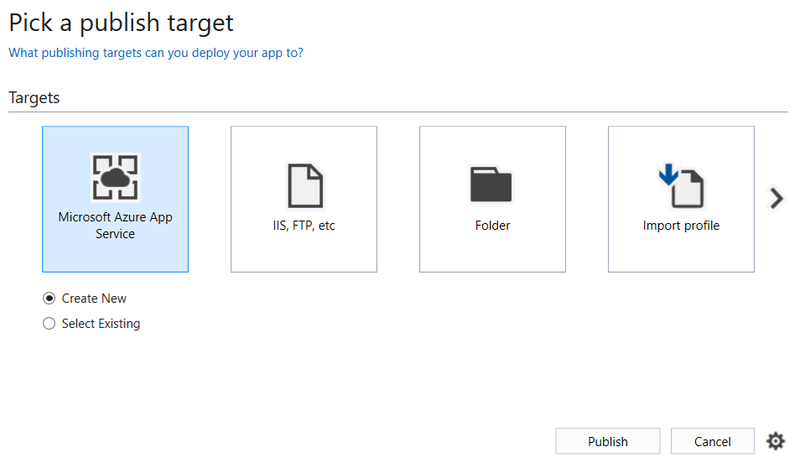 In this screen choose Microsoft Azure App Service. This brings up the Create App Service dialog. If you are signed into Visual Studio with the same account that you associated with your Azure account then this account will be shown in the upper right hand corner of the screen. If you want to use a different account use the drop down next to the account name to enter it. All fields should be filled in with default values. Don't change these for now. Click Create. You should now see the Publish dialog. Click Publish. Your browser of choice should open, displaying the welcome screen for your app. If this does not happen, you can verify by opening your browser and going to https://yourteamsapp.azurewebsites.net (please be sure to use the right endpoint from your Azure App Service instead of this URL) to load your app's hello page.